With more money in their pockets, millions of Chinese are seeking richer diets and switching to meat such as pork, which is China’s second-most important staple.China’s pork industry also produces and consumes about half of the world’s pork and accounts for a significant chunk of the country’s GDP. Pork price swings are also a frequent source of consumer anxiety. Worries about the safety of pork supplies mounted earlier this year when 16,000 dead pigs were found floating in a river near Shanghai. According to China Customs statistics during the first six months of this year, China imported nearly 272,000 tons of pork valued at $510 million, up 0.3 percent year-on-year. 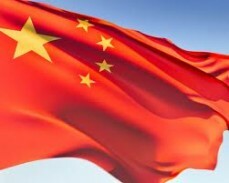 James O’Donnell, Asia manager of Bord Bia, the Irish Food Board, says that China plans to increase meat production by 85 million tons by 2015, an increase of 17 percent over the 2010 levels. Pork would account for 54 million tons of the increase, boosting production by 7 percent compared to 2010. “More efficient domestic production and fixed overseas supplies can also free up land for other uses, which is a growing concern given the need to boost land supplies to support China’s longer-term urbanization plans,” he says. In the past, many of the investments from China were focused on energy, advanced manufacturing and technology, as well as entertainment, hospitality and safe-haven assets such as real estate in overseas markets, but recent years have seen an increase of investment from the food sector. This entry was posted in STADISTICS on 10 January, 2014 by porcisan.